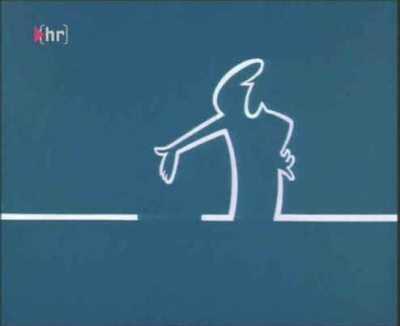 La Linea (“The Line”) is the character created by Italian cartoonist Osvaldo Cavandoli in the 70s. La Linea remains the best example of how emotional a simple line can be ! And most of all it is a model of efficiency and simplicity for all sketch artists, beginners or experienced. When Osvaldo Cavandoli (1920-2007) developed his interest in cartoons in 1943, he started working with Nino Pagot, who later created Calimero. In 1950 he started working independently as a director and a producer. 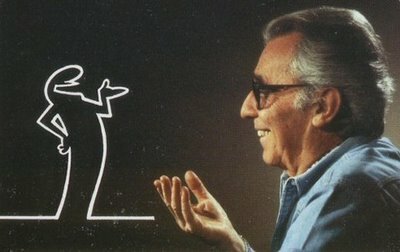 Cavandoli (aka Cava) enjoyed worldwide recognition in the 1970s with his character La Linea, a simply drawn cartoon born and lived out of a single white pencil stroke. Massimo Lagostina, the owner of a popular brand of cookware, used La Linea for his advertising campaign. The accompanying narration of the first 8 episodes identified Mr. Linea as “Agostino Lagostina, a sharp little man with a truly expressive nose.” Lagostina became one of the first Italian companies to understand the importance of advertising. See some episodes here on YouTube !